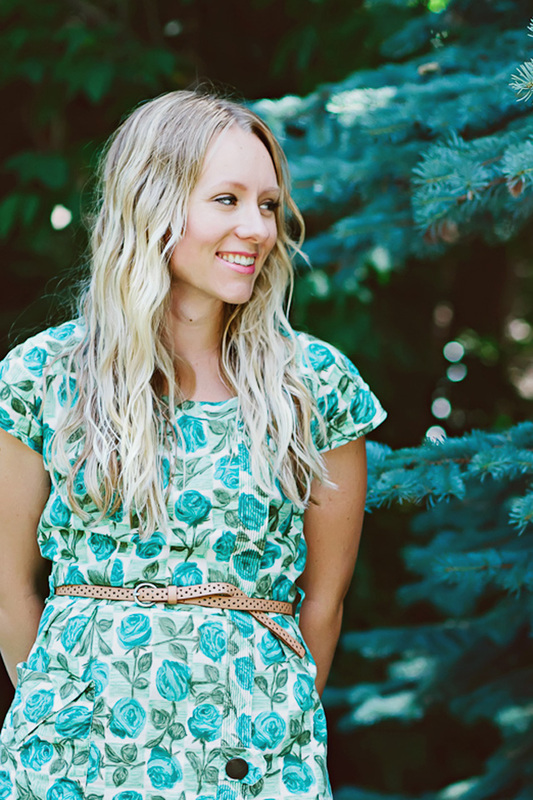 hart + sew | Vintage Baby Clothing: august giveaway! I am so happy and proud to announce that my sister Shelly just opened her own etsy shop - Hairblooms! She is selling these and many other adorable headbands for babies and toddlers. They are so beautiful, yet simple enough to go with any outfit whether fancy or casual. "Hairblooms began as an idea I had one quiet afternoon while I was holding my daughter. She was born with a bright red birthmark, called a hemangioma, on the tip top of her head. And, although everyone who knows her agrees that she is cute as can be with a “cherry on top,” I noticed that sometimes in public people would stare at her birthmark and miss seeing the beautiful girl she is inside and out. So, in thinking of ways I could teach her that she and every little girl are beautiful just the way they are, I came up with the idea to celebrate her beauty by making headbands for her... 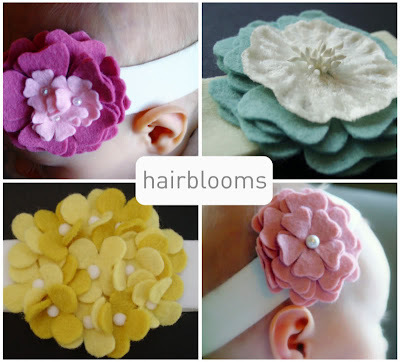 I decided to name my shop “hairblooms” because I like to think of each of my headbands as a little heirloom I’m giving to my daughter. And what they represent – teaching your little girl that she is beautiful exactly the way she is – is an invaluable gift that I hope can be passed down from every mother to daughter." To celebrate her grand opening she has offered you a chance to win one of her gorgeous headbands! 1) Just visit her shop and then come back and leave a comment saying which headband you would like if you win! 2) Link to this giveaway on your blog and then come back and let me know! The giveaway will close on Sunday, August 30th. these are beautiful! just what i've been looking for. i am pregnant with a girl and am so excited to be looking for girly things...so thank you...these are perfect! i'd love to win the "hydrangea - vintage buttercup" headband. Oh, I love the magnolia - blushing bride with ivory pearl headband. So beautiful. Hope I win! Thanks! my favorite is the hydrangea sweet pea and relish! so adorable and comfortable, i've never seen any like these! I would love the hydrangea - purple sage and vineyard color headband! Thanks so much! all so beautiful! the soft blue hibiscus is my fave. love them all! These are so dang cute! i would love one for my girls! The magnolia - blushing bride with ivory pearl is my fav! They are all so adorable. If I could have just one, I would love the hibiscus- soft blue. Love them! Hi, my name is Sarah and I am in LOVE with the magnolia - blushing bride with ivory pearl. My little girl is 17 months and I'm getting her pictures soon. I already have the outfit for her picture but I went to "ribbons n lace" today and couldn't find ribbon I liked to match it. I was very sad. PLEASE pick me the flower would match perfect!!! I love the hydrangea - soft blue and peacock headband. It is too cute and I would love to win it. Found this off of Kendyl's blog... too cute! I'd go for the cream and white hydrangea. I've got a new baby girl too! I love the hydrangeas. Hope I win! I love the color schemes and design, too cute. I especially liked, hydrangea - sweet pea and relish. I like the hydrangea in strawberry. So cute! I love the pink grapefruit hibiscus headband. It would go perfectly with my sister's wedding colors! I love the daisy-sweet pea with black button. It's so pretty! Pick me! I would LOVE the daisy-soft pink with brown button. SO cute! I would love to be picked... and so would my little girl! Can you make them for adults? I love love love the hydrangea headband. Everycolor! Oh, I love the hydrangea bands too! They are so fun, little clusters of tiny flowers. I love the cream and white hydrangea bands! Thanks, this is exciting! I just bought the custard yellow hydrangea design for Penelope. I wouldn't mind another design! They're so stinking cute. I'm having my first girl and am CRAZY for cute girl stuff now! I know the contest is over I just wanted to comment on how beautiful of an idea this is. My baby boy was also born with a hemangioma (on the side of his face) and while I forget it is there, when we go out we are asked about it frequently and I also feel people don't notice the beautiful baby he is.